Gift-giving can be one of the more stressful experiences one endures. Between the hemming and hawing, and shelling out money for something you’re not sure they’ll like, sometimes it seems easiest to just send flowers and be done with it. While flowers are certainly lovely, there’s a much simpler way to please. With booze, of course! Who doesn’t like getting a bottle of bubbly, or their favorite red or white? To make things even better, you can have the wine delivered straight to them. As soft and lovely as mom is, give her a bottle of Rosé (or many bottles!) that she can enjoy with her favorite treats or cheeses. Or better yet, cook her dinner and let her kick her feet up and sip. The Black Stump Shiraz Durif Rose 2011 from Australia is extremely popular with wine drinkers. It has tons of berry flavor and is positively delicious. Move aside scotch and whiskey, let’s give dad a deep, delicious red he can enjoy with his char-grilled steak. The Los Rosales Chapel Vineyard Malbec 2009 is rich, with dark berry fruit; a little oak aging adds spicy complexity. If this is a best friend, why not treat them to a whole case of wine? More affordable than ever, you can hand-select what wines you’d like to include. Choose all white, all red, or a combination. Even toss in some sparkling and champagne. Online wine shops make it as easy as can be, and you’ll really save money buying in bulk. The shipping is cheap, too! Now if ever there’s a time to break into a cold sweat over gift-giving, this is it. To make the best impression, Champagne is a clear winner. Laithwaite Brut Premier Cru NV is a great choice, with its gold medal-winning and best-selling status. 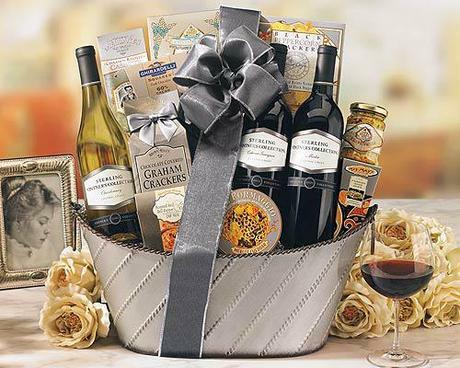 Pair this with some chocolates or a fruit basket, and you’ll set yourself apart for the next promotion! We’ve all been there. Invited to a party or event where we don’t really know anyone. We don’t want to show up empty-handed, but we have NO idea what will go over well. You have a couple of no-fail options here. It’s usually safe to have a bit of a celebratory touch, so a sparkling Shiraz is just perfect. Or for an equally dazzling pick, try a wine with a story, like the Murray Fishing Club 2009. This Riesling used to be made as part of a fishing club and was only available to their family and friends. Discovered by one of Laithwaite’s wine buyers, it’s now available for us to enjoy!